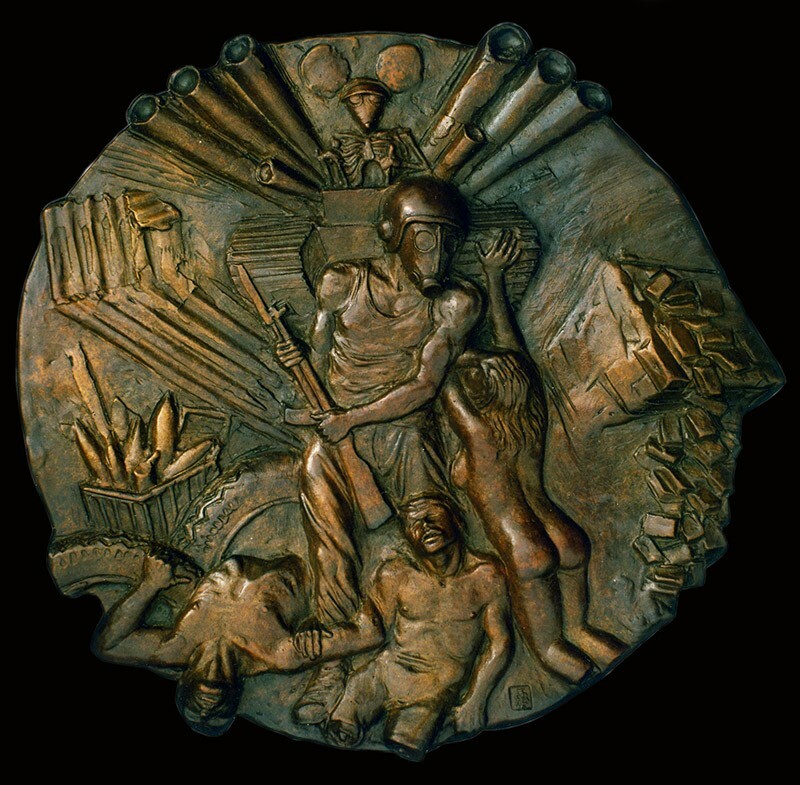 Part of a series ” The Perils of Existance ” that was never completed, the Evils of War illustrate the horrors of war. The iconic Mickey Mouse drives the machinery of war regardless of the human cost. Exhibited at the FIDEM exhibition at the British Museum in 1992.